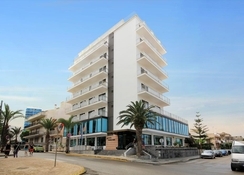 Situated in Ca’n Picafort in Alcudia Bay the recently refurbished 3-star Ilusion Markus Spa hotel disposes of 72 rooms distributed on eight floors. This friendly hotel offers a family atmosphere with the best service and comfort, perfect for families and couples. ILUSION Markus offers a free SPA, renovated in 2017 and equipped with a heated swimming pool, water jets, a Jacuzzi, sauna and relaxation area with hammocks. The SPA shares its space with a bright gym, recently equipped with exercise machines, changing rooms and showers. Entertainment programme for children and adults with recreational activities, mini disco and night shows. 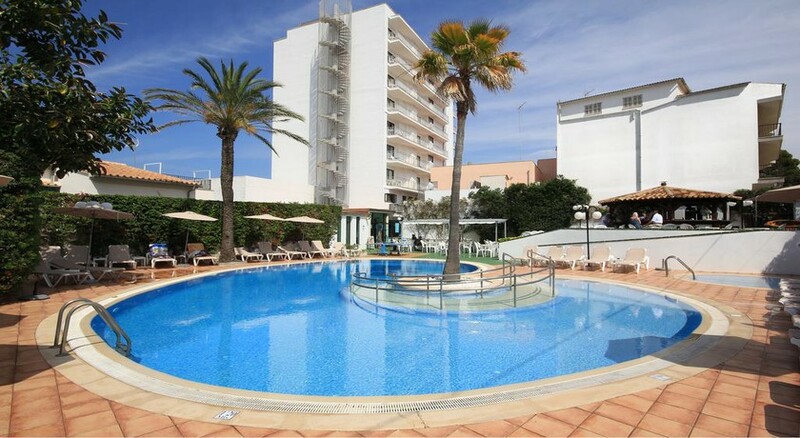 Ilusion Markus Spa hotel is an attractive beach hotel located 300 metres from the marvellous beach Ca’n Picafort, one of the best of Mallorca, in the Bay of Alcudia. Only ten metres away from public transports and at 200 metres from the picturesque village centre you may find countless shops, bars and restaurants. At about 600 metres you will find discotheques and other entertainment venues where you can enjoy night life. The area of Ca’n Picafort offers a multiple of possibilities to enjoy your leisure time as i.e. hiking, cycling tours or boat trips. The Ilusion Markus Spa hotel features 72 friendly rooms, some of them with frontal sea view and others with view on the village. The guestrooms come fully equipped with bathrooms along with a bathtub and a hairdryer. All rooms dispose of air conditioning and heating, telephone, fridge, kettle (€), flat screen TV, Wi-Fi and safety deposit box. All rooms have a balcony. The new superior rooms with a sea view offer a range of amenities and premier services free of charge, including a kettle, a safe deposit box or bathrobe. The Ilusion Markus Spa hotel has a bright restaurant buffet where cooking is done on display, which was completely renovated in 2017.The hotel provides an All Inclusive formula with a varied gastronomic offer, all these made up of a buffet of breakfast, lunch and dinner and snacks. The Ilusion Markus Spa hotel enjoys a terrace with outdoor solarium and one swimming-pool for adults and one for children, sunbeds with parasols, outdoor stage and all-inclusive service for snacks and beverage. 24h reception service offering a left-luggage room and bathrooms with showers on your day of departure. All common areas (reception, bar, restaurant) are air conditioned. Wi-Fi is available in all areas and costs EUR 5 per 24 hours. Rooms were nice and tidy, staff were friendly and helpful, food was very good with plenty of choice. The spa wasn't great, the entertainment night was also a let down.